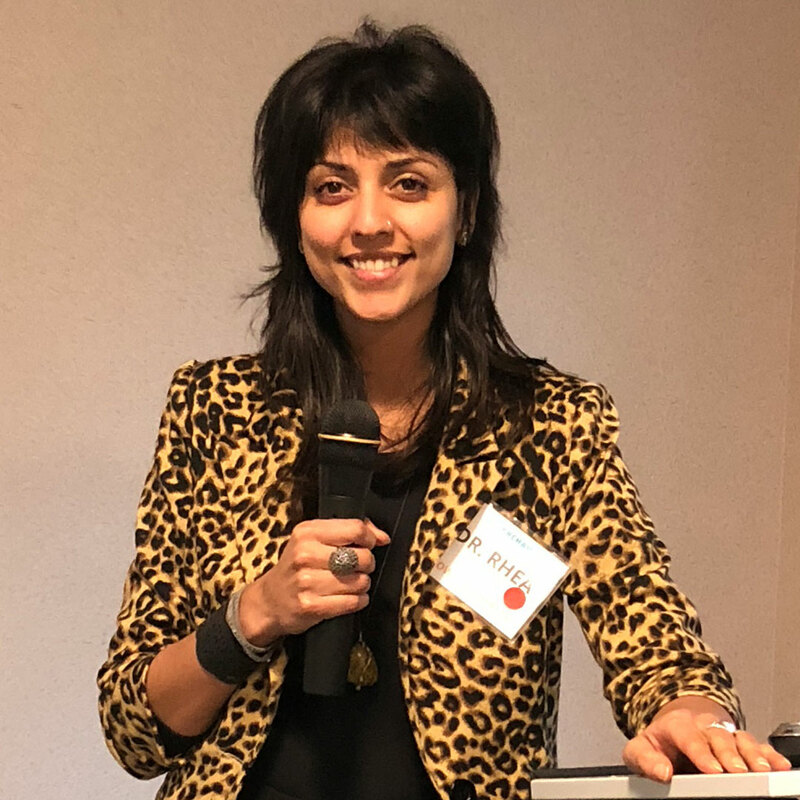 Rhea Mehta, PhD, is a Molecular Toxicologist, integrative health coach and CEO of Bowhead Health, a healthcare technology startup on a mission to remove the pain points and inefficiencies of preventive health management. Bowhead is launching a connected device that enables at-home biometric testing, personalized recommendations and real-time dispensing of supplements and vitamins. Bowhead will leverage blockchain technology to ensure the anonymity and security of medical and health data, and ultimately give the power back to users. Rhea is also the Founder of Global Smoothie Day (Oct 3), a movement to inspire health ownership and advocacy, and the co-founder of Camp Reset, an adult summer camp and digital detox. A contributor to the Huffington Post and Mind Body Green, Dr. Rhea speaks internationally on topics such as optimal life design, nutrition for productivity and performance, and her personal story of conquering chronic disease and stepping into health leadership. With behaviours written into the subconscious over a lifetime, patterns can be hard to break. Biohacking has emerged as a method to help us modify or discard undesirable habits. As the term hacking implies, there are shortcuts to re-coding our cognitive and physiological systems. The changes don’t have to be drastic… we can work on micro-adjustments that provide the best bang for the buck – the lowest hanging fruit. This will ensure that we do not deplete our precious willpower as we begin our transformation to a life of optimal health.